Many years ago, globe trotting was instant by stepping through a doorway - a portal to another place. But the evil skullmaster wanted the system for his own use and set about destroying the portal system, or at least most of it. He kept some portals open for his own use - to store the most powerful weapon known! To protect himself, skullmaster has hidden parts of the weapon in different sections of the world. Each part of the weapon is guarded by skullmaster's minions. 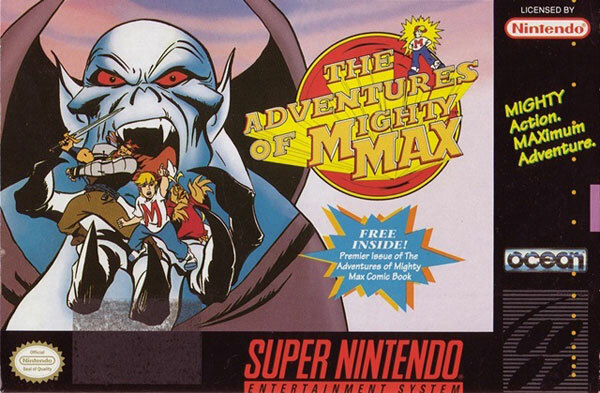 Mighty Max and his friends have set out on an incredible journey. There mission? To recover the weapon and save the world from the evil skullmaster.